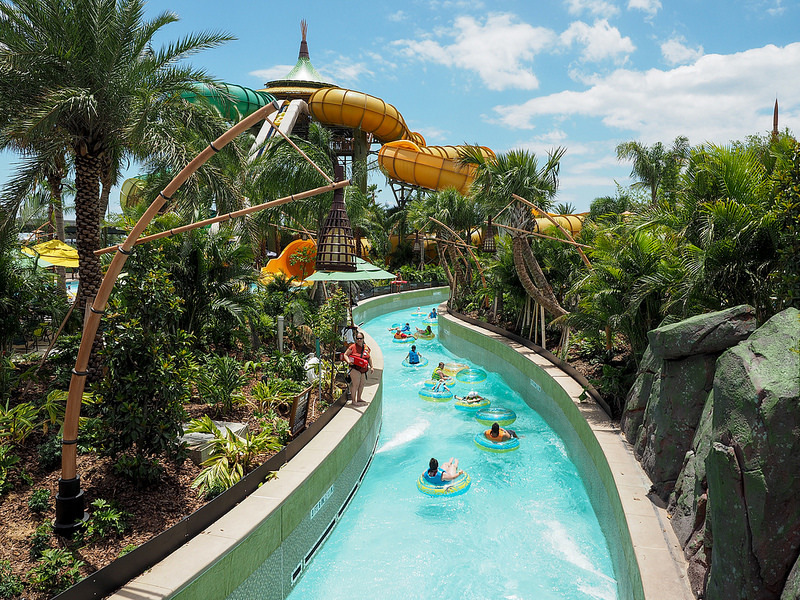 Take a closer look at Volcano Bay’s 4 primary areas. The 200-foot volcano, Krakatau, will lie at the heart of the park. 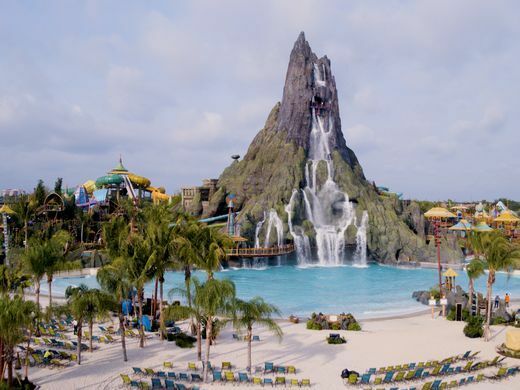 The centerpiece of Volcano Bay, Krakatau (kra-kuh-TAU) stands 200 feet above the park. It’s the largest peak in Florida (no joke! ), and when you climb all the way to the top you believe it! Krakatau Volcano really is the most amazing element of the park. 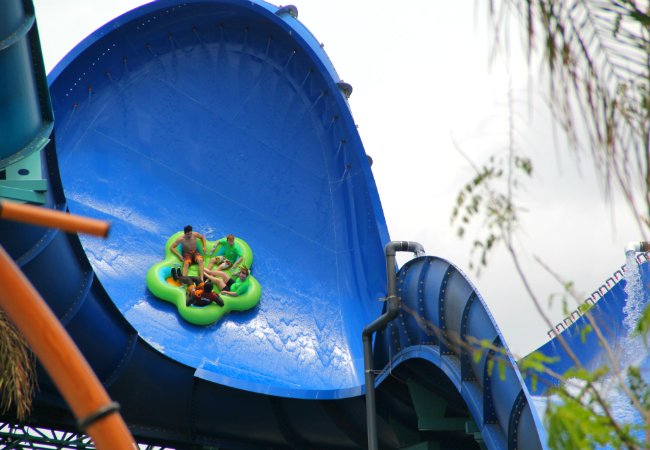 Krakatau Aqua Coaster will send your four-person canoe UPHILL and racing through dark twists and turns within the volcano. 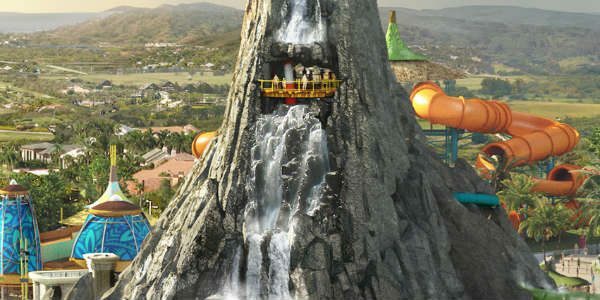 For a grand finale, you’ll be sent plunging through a waterfall! Volcano Bay Food & Drinks are Awesome!